Invigorating and soothing, this long-time favorite awakens the mind yet soothes the body with menthol, camphor, wintergreen, eucalyptus and more. 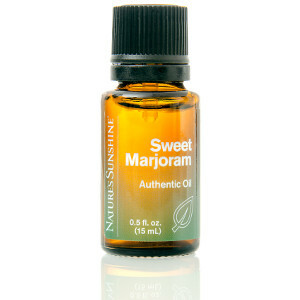 Dilute with Nature’s Sunshine Carrier Oil in an NSP roll-on bottle or for convenient, targeted application whenever needed. Perfect for gym bags! 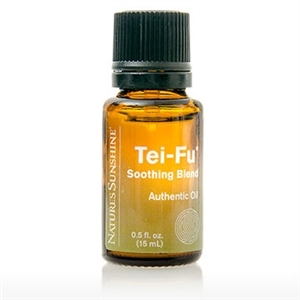 Classic Tei-Fu formula, now in a larger size! Invigorate the mind and ease the body with this soft, refreshing blend of menthol, eucalyptus, lavender, and other efficacious oils that relaxes and soothes. 100% pure essential oils of Menthol, Cinnamomum camphora (Camphor), Gaultheria procumbens (Wintergreen) leaf and bark, Eucalyptus globulus (Eucalyptus) leaf, Lavandula angustifolia (Lavender) flower, Syzygium aromaticum (Clove) flowering bud and leaf in a base of Carthamus tinctorius (Safflower) oil.